Japan-based Sharp is a global producer of telecommunications equipment, electric and electronic application equipment and electronic components. Sharp is producing small-sized and large-sized LCD displays and in 2018 the company also started low-volume production of flexible AMOLED displays. Last month we reported that Sharp started producing OLED displays in June 2018 with aims to ship its first OLED Aquos smartphone in Q4 2018. 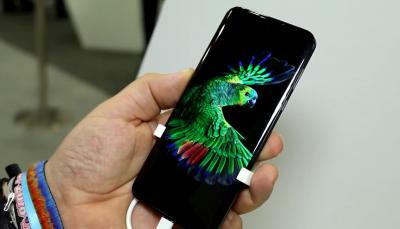 At IFA 2018, the company demonstrated its first OLED smartphone, the 801SH. 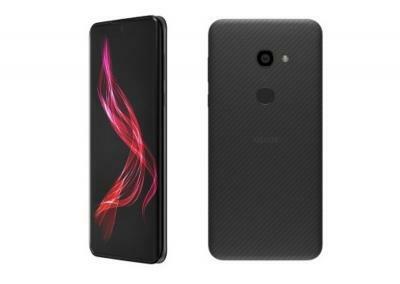 The phone features a flexible edge-type and notch-type 6.2" 3120x1440 AMOLED display, and indeed it is likely that this display is produced by Sharp itself. In January 2018 Sharp's CEO announced that Sharp aims to begin commercial production of flexible OLED displays for its own smartphones in Q1 2018. A later report from Taiwan suggested that Sharp is converting a third of its 4.5-Gen Taki plant capacity from LCD to OLED. 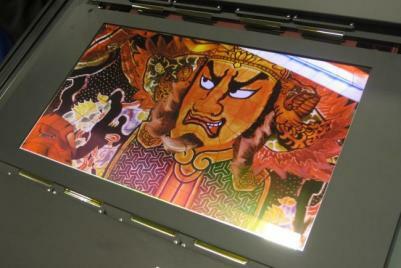 30,000 out of 90,000 monthly LCD substrates will be converted to 22,000 OLED substrates. A new report from Japan, citing Sharp's EVP Katsuaki Nomura, claims that OLED mass production at Sharp began in June 2018, and the company will ship its first OLED Aquos smartphone in Q4 2018. In January 2018 Sharp's CEO announced that Sharp aims to begin commercial production of flexible OLED displays for its own smartphones in Q1 2018. A new report from Taiwan says that Sharp is progressing with its OLED plans. Digitimes now says that Sharp has converted some of its capacity at its 4.5-Gen Taki plant from LTPS LCDs to OLED displays. The Taki Plant had a total capacity of 90,000 monthly substrate, and a third of that capacity was converted to OLEDs (but rate will be slower for OLEDs - 22,000 monthly substrates). It is not clear whether Sharp actually started producing OLEDs already. Universal Display announced today that Sharp has signed an extended and updated evaluation agreement. Under this new agreement, UDC will supply its phosphorescent OLED materials and technology to Sharp Corporation for use in the Company’s OLED displays. Details and financial terms of the agreement have not been disclosed. Sharp recently confirmed that the company aims to start commercial OLED production in Q1 2018 in its Osaka fab and will introduce new smartphones with its own OLED in June or July of 2018. In October 2016 Sharp announced that it will invest $570 million and build OLED pilot lines at its plants in Osaka and in the Mie Prefecture. 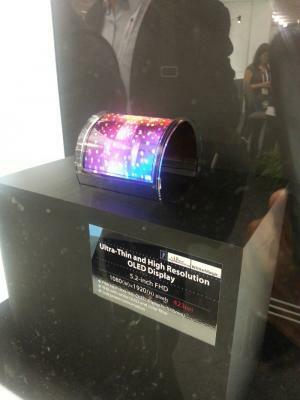 Last week we posted on reports from Japan that claims that Sharp aims to begin commercial production of flexible OLED displays for its own smartphones in the spring. Sharp's CEO today confirmed these reports, saying that Sharp will commence production in Q1 2018 and will introduce its new OLED smartphones in June or July of 2018. In October 2016 Sharp announced that it will invest $570 million and build OLED pilot lines at its plants in Osaka and in the Mie Prefecture, with plans to begin (pilot) production in the summer of 2018. If Sharp will indeed begin production by the end of March, it is quite ahead of schedule - although of course it remain to be seen whether they will be able to reach satisfactory yields before the summer. In October 2016 Sharp announced that it will invest $570 million and build OLED pilot lines at its plants in Osaka and in the Mie Prefecture, with plans to begin (pilot) production in the summer of 2018. According to a new report from Japan, Sharp aims to begin commercial production of flexible OLED displays for its own smartphones in the spring. 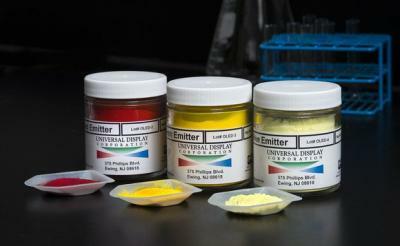 According to the new report, Sharp already started to produce sample flexible OLEDs at its Osaka fab. The displays are still not ready for production, though. And in any case these will be very low volume production lines. In August 2016 Sharp said that it wants to collaborate with Japan Display to co-develop and produce OLED displays. JDI responded saying that Sharp did not actually reach out regarding such a collaboration, but it seems that Sharp did not give up on that idea. Sharp's stock returned to the Tokyo Stock Exchange first section after a year of absence, and the company's president told Reuters that it is going to ask Japan's government it help it form an alliance with JDI. Sharp is also considering an investment in JOLED. Will FoxConn also acquire Japan Display to create a Japanese OLED alliance? 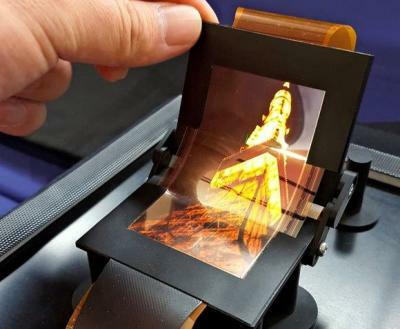 Last week Japan Display announced a new strategic shift to OLED technologies, as its LCD business is losing money and the company now says that a transformation into an OLED-focused company is its last chance to become profitable. JDI said it will need to raise new funds to finance this focus shift and overcome its losses. An interesting report from Japan claims that Foxconn is interested in acquiring JDI with an aim to integrate it with Sharp to create a Japanese OLED alliance that will be able to compete with Samsung and LGD.